We saw it – but we didn’t believe it. We drove up close, got down and stared at him. It was real. We still didn’t believe it. 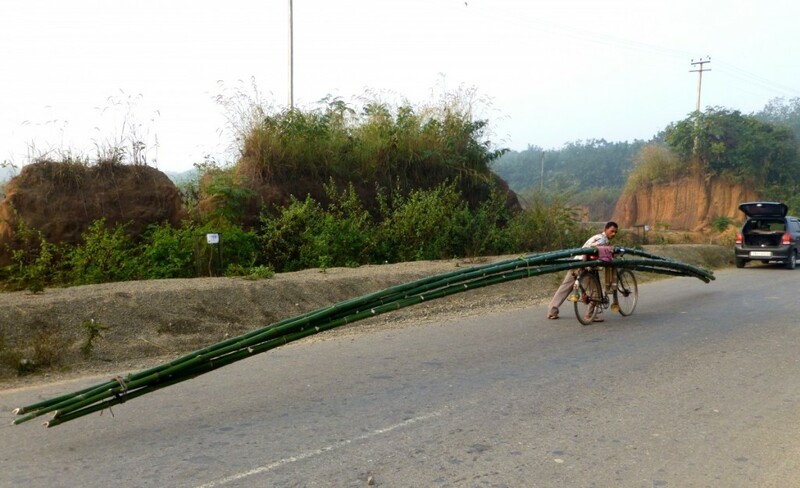 Ratan Biswas had five bamboos, each 40-45 feet in length, balanced on and tied to his bicycle. 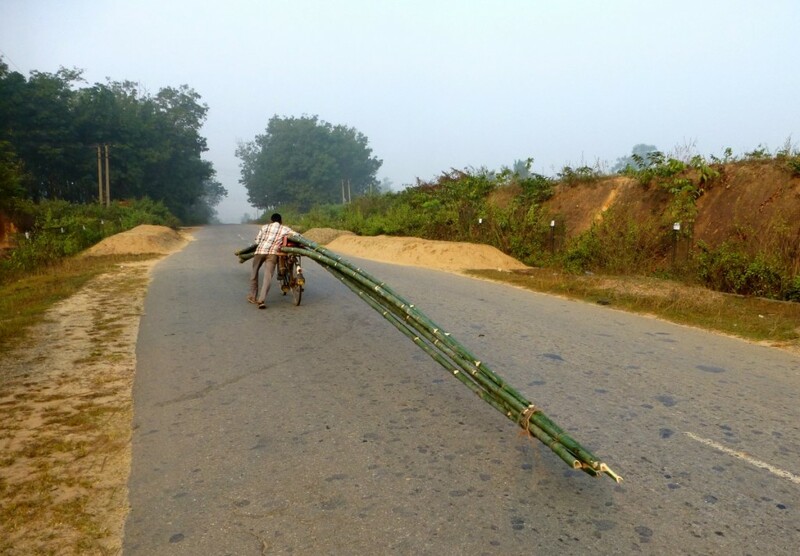 And he was pushing his load along the road to the market in Agartala, Tripura’s capital, 17-km from his village. If the extended ends of the bamboos so much as touched a single stone, bump or any other object, cycle, owner and bamboos would come down. Rather painfully. Bamboos have a trait that makes them look much lighter than they really are. The five bamboos looked like four since two were so closely tied together, they seemed to merge into one. Together, these five weighed around 200 kilograms. Biswas knew this. He was happy to talk to us and let us photograph his crazy cargo. Not so keen to let us try moving it ourselves. He knew the odds. 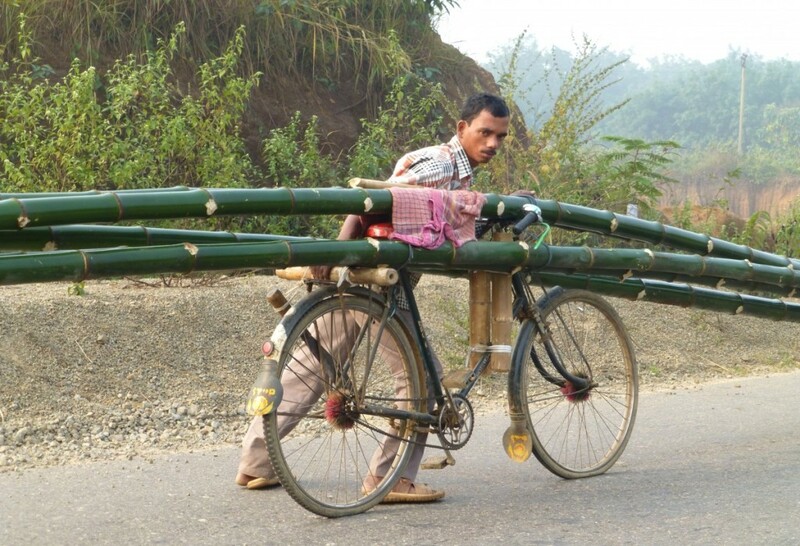 How the heck do you balance that weight – and those incredibly long bamboos – on a bicycle that is barely five feet in length?. He smiles and shows us the wooden planks, themselves of bamboo. He’s got two vertical ones towards the front of the bike. These are tied at the bottom to one of the angled bars of the bike and come up on either side of the horizontal bar, where they’re again tied together. He’s also got another plank, also of bamboo, tied horizontally on the bike’s carrier. So he’s got two bamboos tied alongside the horizontal bar, resting on the planks in the front and on the bamboo plank on the carrier. The other super bamboos rest on the handlebar in the front and on the seat at the rear and are tied at these joints. These may hold the bamboos in place. It does not make them any easier to manoeuvre on the road. The effort must be, literally, back-breaking. 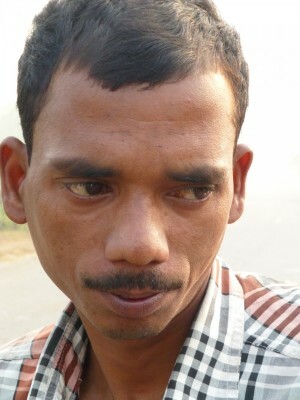 For Biswas it is just one of several things he must do to earn a living and support his family of four. “There’s me, my wife and two sons,” he says. “Our village is in the Jirania block (West Tripura district). I am a daily wager, working as a construction labourer when that kind of work is available.” Otherwise, he can be an agricultural labourer in season, or just a porter. Less than a fourth of the total length sticks out at the front of the cycle. The huge, main body protrudes from the back of the cycle. We still couldn’t figure out how and why the rear end did not touch the ground. Biswas smiled patiently at our wonder. “No,” he said. “I do not cut down the bamboos myself. That would be too difficult. I buy them from the people who bring them to my village. 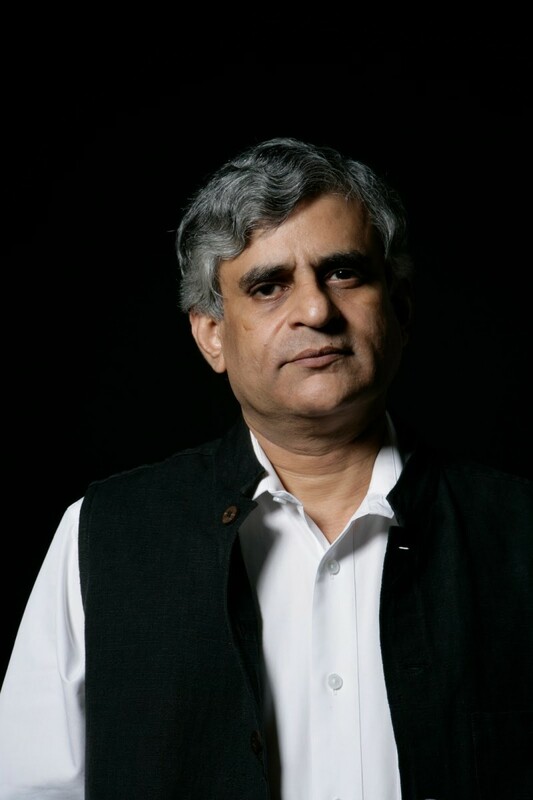 “ And he can make a net profit of around Rs. 200 if he sells all the bamboos at the Agartala market. My fellow traveller, Sunil Kalai, lecturer at Tripura Central University’s Journalism and Mass Communication department, tells me there are shorter roads that Biswas could take. It’s probably those roads would not give him the clear space required for his outlandish load. We get into our car and head for Ambassa in the next district. Biswas pushes off in the opposite direction, his bicycle’s 40-feet tail wagging gently behind him. 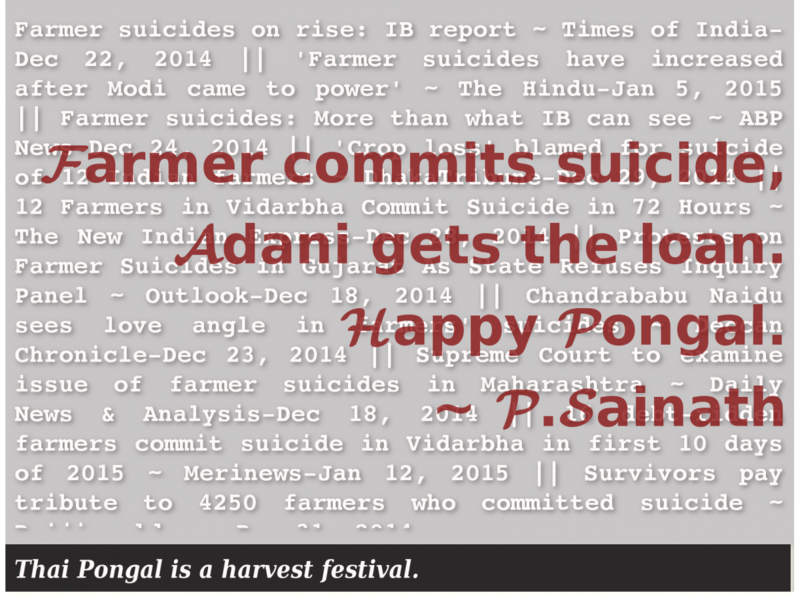 Farmer commits suicide, Adani gets the loan.